We thoroughly enjoyed every moment. The atmosphere is warm, welcoming and peaceful. As cozy as it feels, it is has charm and elegance. It seems like just the right blend. The food was amazing, I couldn’t get over how good everything tasted and was still extremely healthy. The presentation of the food was spectacular. The chef and kitchen staff were exceptional. We had a great time. I was skeptical about how much a spa could really relax and change you... I was wrong! My experience at Grail was absolutely wonderful! The staff so caring and nice, the food -absolutely amazing, even the juice detox was great. I enjoyed ever minute and made some lovely friends. The speakers were very good and I must say, my room was divine. The grounds so peaceful and safe. October was a nice month to come with the beautiful fall colours. I loved the mantra, yoga and meditation, such a calming way to start the day. I would certainly come back. Such a stress free time to reflect, think and just be. I came to the Grail looking for myself, for a release from who my cancer had made me in the last year. And I found it here. I am so thankful for this time and for the lovely people that have helped me in this journey of self-exploration. Shannon L.
Simply put Grail Springs is one of my favourite places on earth. When I enter the gates I am lead down a path lined with trees and as I arrive I am overwhelmed by the natural beauty and silence Sandra E.
This was the most life changing event of my life. Without realizing how it was happening, my depression lifted, my life-long IBS and bloating was improving on the Alkaline Diet. Amazing how well your body can function with the right PH level. Thank you for your vision Madeline and for having the strength and courage to see it through for all of us to heal. Once you cross the threshold of Grail Springs all of your stress and worries are left behind Upon departure you are renewed and regenerated, ready to face the world again. By the way they have a beautiful Labyrinth to walk on the grounds. I found me, now go and find YOU! Well-done Madeleine! Best vacation we've ever had. Will definitely be back every year. This is changing my lifestyle. The attention to detail is incredible. I had the good fortune of staying in the Eco-Tabin while I was at Grail Springs. I enjoyed all of the wonders an Ontario forest has to offer from the comfort of a clean and cozy Canadiana cabin. It was a real treat to unplug and unwind while the forest sang around me. Thank you, Grail Springs. Eva's information educated me in new ways to see and approach yoga I feel profoundly fortunate to have experienced this place... I am leaving in the spirit of gratitude for what I've learned and humility in the face of challenges. Seven Reasons Why I Love Grail Springs! 1. Amazing energy - unique to Grail Springs. You can feel the earth and air vibrate - truly heaven on earth. 2. Sacred, peaceful space free of alcohol, smoke, noise, animal products, fragrance and buzz. 3. Devotion to health and wellness on all levels: emotional, physical AND spiritual. The best vegetarian meals I have ever had. 4. 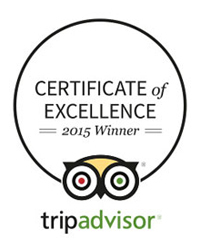 Fantastic staff consisting of smart, funny, compassionate and open-hearted folks dedicated to make your stay special. 5. The ONLY place I have been to which offers excellent evening presenters - this is such a smart idea! 6. Wonderful spa treatments, yoga instructors and special guidance on meditation, vision boarding. 7. A place to regenerate, relax, meditate and transform! I have been there 6 times and have seen people change in just a few days. What a gift! The Grail is one of my most favorite places to be in the world. The land is truly magical. Grail Springs Retreat is beyond words. It's like a bath for the soul! Thank you for your kindness, generosity, wisdom and guidance. Every moment spent with you and Grail Springs is a gift. Grail Springs is like the home for our souls! From the moment I drove onto the property I was overwhelmed by the natural beauty that I saw before me and how peaceful it was This was by far the most transformative 2 weeks of my life... it left me feeling amazing and my pain subsided dramatically, as I suffer from Fibromyalgia and Chronic Fatigue Syndrome. I then continued with the Alkaline Diet plan and enjoyed every meal, and before I knew it I no longer craved caffeine, sugar, alcohol or meat. I have now incorporated it into my everyday routine. Thank you again Madeline for sharing, and giving us all this magical gift called Grail Springs. I've been coming to Grail for a number of years now and feel that I have grown so much from the experience. It has been truly life-changing! You have truly created a magical sanctuary for rejuvenation and healing. The staff went above and beyond. My five day stay during the yoga retreat was truly transformative. This tranquil setting took me from a place of tension and fatigue to a place of being centred. At home, my diet has improved, I've lost 8 lb, I'm mediating twice a day again. It was worth every penny"
I came to Grail Springs in search of something, or was it to escape the reality of becoming another year older and not feeling fulfilled with my life? Was it to find answers, to heal, to make new friends, to have quiet time for reading, to try new experiences like meditation, mantra, to discover more about my true self? The truth is it was all of the above. Grail Springs is a magical place. It transforms you into a positive being. I highly recommend this wellness retreat. You'll leave here very happy and a grounded person. Five stars from me. Thank you for sharing your gifts of care, smiles and light with me this week. With gratitude and reverence, a beautiful space to restore and reconnect with yourself. Wonderful hospitality. Caring 'Soul Food"! I attended the Fresh Start Retreat Favorite moments: hot tub, talks, and the food. Love the ambiance, calmness. Staff is kind, calm, extremely considerate and enjoys creating a loving environment. I hoped for the full experience, and was given the full experience. Madeleine's creation is concrete and palpable. Grail itself is a wonderful nesting space; quality, comfort and imagination infuse the building. I can never thank you enough for giving me the gift of Grail Springs. I just spent the most glorious week there. You have a truly phenomenal staff at the Grail. I'm eternally grateful. I feel as if I am leaving my parents home, the security, love and understanding. Leaving it all behind to create part of the wisdom I have experienced to live and create a small island within myself. Everyone at Grail Springs was a very important part of my journey and a heartfelt thank you for that. May this very special place continue to blossom and go from strength to strength. With great affection. A must on your list for an amazing retreat. I highly recommend it. And feel the spirit of the land! The Grail Springs Wellness Retreat is beyond words. It is like a bath for your soul. I am grateful for the gift of Grail Springs - for the energy it holds and the energy it attracts. I look forward to my next visit! All the best. I was feeling pretty broken both physically and emotionally when I arrived for the first night. By the last night I felt like a brand new person and full of anticipation for my new life. Thank you. This place is my heaven on earth. Absolutely beautiful :) Thanks to all who make me well while I'm there so that I can go back and live in the world. Madeleine Marentette has created an integrated system that fosters body, mind AND spirit, a formula for true wellness and transformation on a personal and planetary scale, greatly needed at this time in humanitys history. I highly recommend her book as it embraces and bridges ancient wisdom of the healing arts with those of the new modern day sciences of mind consciousness. A beautiful gift to the world! What an amazing event! It was so heartwarming to be surrounded by such empowered and inspired women all brilliant in their own uniqueness. I feel blessed to have had the experience and look forward to other events. Yours in good health. I had a lovely time at the Grail Wellness Center. The grounds are peaceful and beautiful, my room overlooking Chalice Lake charming. The morning mist rising over the lake was perfect for morning meditation. The vegetarian meals were exceptionally good and served in such an appetizing way. Special praise to all of the kitchen and wait staff.... In any vacation, it is important to know what it is you want from it. On this trip, for me, it was peaceful surroundings, good food, programs of interest and lovely people to interact with during my stay. I got it at Grail. Thank you. "We would like to thank you for the wonderful weekend! It was more than anything I was expecting. Enlightening, delightful, strengthening and beneficial are the words that come to mind. The staff, instructors, spa experts were professional, friendly, and accommodating. We will be back! Our experience with meditation with Dan was enlightening to the core. Helpful and inspiring to implement into the new chapter of my life that started with my visit. Again, Thank you!" "Wow. I had very high expectations...everything surpassed my hopes. All of your team is amazing The highlight was the amazing food. I only wish those at home could taste it. Waiting for the cookbook! I love the energy and space. You have done a wonderful job in creating paradise. Thank you for having me and treating me like I belong here. Be back soon. BEST FOOD EVER!!" 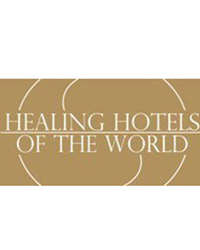 Congratulations to you and your wonderful staff on being in the book for the worlds top healing hotels. Your retreat is a jewel of peace and serenity. "Healing happens so deeply here...my heart filled with offerings of gratitude, humility, grace and reverence." Thank you so very much for the fabulous time. Everyone of you was so gracious, friendly and helpful. It was such a pleasure sharing time and space with all of you. I wish all of you much peace, joy, laughter and abundance in all you do. With great appreciation and gratitude. I just want to thank you for having the vision and for creating Grail Springs. I am grateful for my visits there, for the conference calls, for the website which I look to for reference. All of these things you have done contribute to my spirit and to the metamorphosis of my soul. For that I thank you and am very grateful. Blessings to you. Thank you to all the staff at Grail Springs. I felt so taken care of, pampered and loved during my 21 days here. This is a wonderful establishment and I cannot wait to return! Madeleine, I would like to thank you for sharing your experiences and knowledge... You are truly a gifted teacher, I feel blessed to have been able to participate. You answered many questions that I have been trying to find answers to and showed us many tools to contemplate, to guide us to our inner self. Thank you so much. I will definitely be back to Grail Springs Bless you. To all the staff at Grail Springs... My mother and I had the extreme pleasure of staying at your remarkable retreat centre from November 4th-6th. From the moment we made reservations, to the moment we checked out, the hospitality and service was beyond outstanding. Everyone is to be applauded for such excellence and care. You all made it such a warm and ever so welcoming experience, one truly felt very much at home. My thanks again to all. Each person involved with the program has made a big contribution to my 'Grail' experience - yes, everyone. The behind the scenes staff who I haven't met have all been important. Many thanks to all of you. I just stayed at Grail Springs for the second time. The second experience was even better than the first time. The food, the ambience, the lake and activities as well as the other guests were just a pleasure. However, the best thing about Grail is the staff. They are all unbelievably wonderful... They are all a pleasure to deal with and make Grail special. I will return again next year just to be near them again. This experience has reached into my soul. It has changed me in ways I could not have imagined it is the whole experience from the talks, the yoga, the walks, the meditation. The entire staff seemed to come together to make my stay truly complete and successful. Thank you from the bottom of my heart. I will sing your praises to everyone I meet. Peace & Blessings. As I write this, my eyes fill with tears in thankfulness, and as for my cup, it runneth over. Thank you for you, to have and to hold the vision of what is possible. Blessings and love. To the whole staff ~ You all rock my socks off!! I can't stress this enough. Bless you all and your whole lives. Madeleine, you are inspiring. Thank you for reminding me that this Knight can succeed in finding the Grail. To the wonderful staff at Grail Springs... thank you for healing me in more ways than one! I will cherish everyone moment I spent here. Thank you for creating such a wonderful sactuary! I have loved being here and can feel the magic that is present! I had the pleasure of participating in the Sacred Butterfly Retreat. I greatly appreciate all the thought, energy and meticulous planning that goes into making every aspect so incredibly powerful. It's truly been a magical experience that I will hold close to my heart to learn and build upon always. Thank you for creating and sharing a piece of Heaven on Earth. Beautiful blessing and love to you for all the wonderful gifts you have brought to us all. Throughout the years it is wonderful to have the chance to come to Grail and as I am growing, I see it is blossoming too. Every time I am here the place radiates more and more each time... Till then, all the best with your endeavors. With love. I have read many of the ideas shared at Grail Springs, but can and will now put them into practice daily. These 10 days have been eye and heart opening for both myself and my husband. Our lives are forever better. Thank you Madeleine, Judith and your entire staff. Dear Madeleine, I just wanted to send you a heartfelt 'Thank you' for all you have created and brought into this world through the power of your being... I also wanted to extend my thank you to all of your staff. God bless. I keep running out of superlatives. I can only put hand over heart, look heavenward and give thanks! I celebrated my 60th birthday here, a wonderful, uplifting way to start my new life! Spent 10 days in the eco-tabin and had the most incredibly calming and healing experience. I was surrounded by nature and at night I listened to the sounds of the night, watched the fireflies and the occasional deer run by. This truly was a spiritual healing retreat. Spending Christmas at the Grail is a magical gift in itself. For me, the peace, joy, companionship and beauty filled my heart. Grail Springs helped me find a way to change my unhealthy habits and old thinking patterns in a peaceful, loving way. Thank you! The fantastic programs are exentuated by the friendly, caring staff and fantastic facilities! Grail Springs provided just what I needed to help give more balance to my life. Met some amazing people. The staff was awesome. Thanks Madeleine. Great food and loved the chat sessions. Fantastic, sweet staff. Having been experiencing major depression for the last 2 years... My experiences at Grail Springs have allowed me to see the ladder that has been there the entire time!! I now have a starting point to get better I cannot wait to return 'home' once more. Grail Springs offers an exceptional program and location for an outstanding, life changing experience much needed by many. It is truly providing necessary change. What you have created at Grail Springs is so special and meaningful to so many people because of what it does for the soul by nurturing and healing. Thank you from the bottom of my heart. You have INSPIRED me deeply and you have TRANSFORMED my life. It's easy to miss you all when you have impacted my life so. I am so grateful to all of you for myself and for my daughter Elena, we carry you in our hearts. BLESS all of you. Thank you for sharing this beautiful place with me. I have come here to find myself and I know I have a great journey still ahead of me. From the guys perspective my expectations of accommodations, spa treatments and dining at Grail Spa were high. I think its important to note that I am not a vegetarian and I love my coffee and diet cola. While on their website, I didnt read the section that clearly stated Grail Spa was strictly vegetarian, no caffeine, no pop, no alcohol I suppressed my instincts to run and chose to be open to this new experience Best decision I ever made What isnt on the website and what no amount of currency can purchase is the magic of this place For 72hrs, this place let me focus on me you cant put a price on that. Dear Madeleine: Thank you so much for all the hard work and effort you placed in arranging a successful lecture. 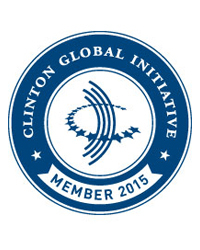 All of us working together worldwide, helps to advance the truth and diminish the deception that surrounds modern life and health. Your unwavering commitment is acknowledged and Hippocrates is all that stronger for it. With respect and love. From the moment I arrived, I knew that this was going to be a very special week Every aspect of this wellness spa is perfect The quality of the food, treatments and accommodations is out of this world. For me it was the culmination of a very long journey, which now has a more defined purpose and path. Thank you. I came to Grail Springs for rest and relaxation, but what I received in addition was a transformative spiritual experience I leave this wonderful place feeling much more centred in my strength of being - and utterly grateful. My trip to Grail Springs has been the best thing I have ever done for myself. The workshop was an indescribable journey that allowed myself to delve deep within to recognize love, joy and my true spirit. I want to commend you Madeleine for creating such an unbelievably special place It was quite a beautiful experience and I thank you for creating the space for that to happen I enjoyed doing so in the amazing energy of the Grand Hall. In Love and Light. I wanted to thank you for hosting the workshop last week. The venue for such a workshop was perfect. I felt blessed to have had such an incredible experience. Thank you for doing what you do as part of my spiritual path. Madeleine, I am still feeling the reverence of the wonderful experience at Grail Lady Faire and wanted to email and express my appreciation. The women, the experiences, the sacred energy - all of them are a huge part of my forward movement and I am in deep gratitude for your commitment on all levels. I am so blessed you are in my life and an important part of my journey. Thank you! Thank you! Thank you! My experience and growth was life-changing. I am so blessed to know you and this sacred place. It feels like I am in Heaven. My heart is forever enlightened and blossoming. I look forward to next year's Grail Lady Faire. Thank YOU!!! Thank you for the life-changing week! I just can't tell you how grateful I feel. As one of the many guided to the Grail Lady Faire this year, my second annual pilgrimage, I wish to send my heartfelt gratitude to our gracious host Madeleine Marentette, her team of guides and leaders, the wonderful staff and friends. The heroic journey we are all embarking on has surely been strengthened by allowing us to see the hero in ourselves. Grail Springs friends...Thank you for making me feel so very welcomed and for helping me back onto the road of an enlightened life. What a beautiful loving and peaceful place to begin again. With love and peace. I am still absorbing everything and very much enjoying your book. You are such an incredible inspiration. Thank you for doing everything you do. Thank you for this amazing opportunity to connect with myself and in community with kindred spirits. Grail Lady Faire exceeded my expectations. I've been to many sacred places all over the world and Grail Springs in up there as #1......thank you all for all you do. Can't wait to be going back for my 3rd time in less than a year. What an amazing place. Paradise on earth. Thank-you to everyone at Grail Springs what an amazing energy you all have. I especially want to thank the chefs for creating the most loved food on the planet, thank-you for teaching me about nourishing my body the food was Amazing! Dearest Madeleine, our stay at Grail Springs was utterly transformative. Our personal consultations with you were life changing. I felt like I was knighted! Valor is coursing through my being. Please accept our deepest gratitude for all that transpired and the opportunity to participate in the experience that is Grail Springs. We look forward with anticipation to returning in August. The Grail is the most beautiful, restorative place on Earth! Madeleine, I cant believe my good fortune at having found you and Grail Springs, which have added such luster and light to my life!... I truly feel transformed, and that is no small accomplishment!! Thank you for helping me to find my spiritual home! Cheryl and I wanted to say that we had a fantastic visit this past weekend. Extremely relaxing and enlightening. Thanks to all the staff at Grail Springs for making it special for us. One of the most beautiful sacred sites I have ever played at. Came in with badly damaged feet from a chemical exposure, barely able to walk. I was recommended the 'Save Your Sole' foot treatment by Cheryl and I am smiling as I walk Thanks to the Grail! When I decided that I needed a place to go to detox and cleanse, I had no idea that I would find a place like the Grail I came out with so much more and that was the spiritual healing, which I was not expecting... Thank you to Madeleine and all the staff for this special gift that will keep on giving. I wish to attest to how the staff, environment and programs at Grail have assisted me to resume my road to wellness Grail staff has helped me to try to go back to that healthy and balanced life. I salute everyone here! Madeleine, my wife and I are having an amazing time. What youve created here is truly amazing and the work you do is so important. There is something special about Madeleine's presence, her way of being, and her way of communicating. When Madeleine speaks to you, you feel something deep inside of you ignite. The information she conveys enters you at a very deep level, and you are forever changed for your highest good. Madeleine teaches from a powerful place of experience. A gifted teacher and generous in her sharing, if you are ready for transformation, if you are ready to deepen your connection with body, mind and spirit there is nothing more powerful than one of Madeleine classes/retreats. Today, after almost a year since my retreat I am still experiencing breakthroughs in my relationship with Self. Thank you Madeleine for walking the talk and for being such an extraordinary facilitator. Your contribution to my life is priceless. I am so grateful to you. Anthony & I would like to say thank you for making our little vacation so wonderful. Even though we were only there for 3 days, we really felt better and recharged Thank you and we hope to see you all again soon! You are surrounded by the most beautiful special setting where you relax, restore and refresh yourself while being attended to by the most caring people that become like family and friends. The food sends your tastebuds delirious. When you leave this magical place, your first thought is " how quickly can I come back? As each day passed I felt more settled and find it hard to leave this tranquil setting... the lake, birds, loons, sunrise and set... the forest trails all so healing. I will take with me my new tools and many fond memories of this magical place...Until we meet again, sincere thanks. I am grateful to have had such an enlightening experience which taught me many things in all aspects of life. It was a great way to get on track, open up and learn to let go, love and forgive. I want to thank all the wonderful staff who made my experience so perfect and amazing. I found the Grail in November '09 and it changed my life in every way. I went seeking a place to detox from my addiction to sugar... I came away with so much more. Since visiting Grail Springs I've kept sugar out of my life and I've lost 22 pounds Thanks again to everyone at the Grail! I managed to steal your book from my wife and started reading it from the top. I balled my eyes out alone in my kitchen late at night. Thanks again for such a valuable gift. I had the pleasure of staying at Grail Springs last Nov for my 55th birthday You have truly created a wonderful place to rest, heal and to learn about a healthy lifestyles In light and gratitude. I came in need of rest and relaxation. The centre practices a well-informed wellness philosophy that is holistic in nature. My stay was fabulous. One important factor in the full experience for me was the incredible food... some of the best meals I've ever had. I look forward to integrating their holistic philosophy into my lifestyle - beginning with the recipes! Alkaline, alkaline, alkaline!! I finally get it. First time in 15 years I've felt pain free. Plus I lost 7 pounds. I'm starting over, taking home all I've learned & plan to come back every year just to fill my cup! Thank you Grail Springs. You're a special bunch. The Grail is the most beautiful and restorative place on Earth. My Cup Runneth Over' ~ The Grail World Mantra still brings tears bearing many emotions each day - I cannot think of starting my day without it - what a gift Many thanks to each and every one of you, for sparking an incredible awakening that has touched my soul. Warmest Regards. Everyone has an Angel ~ Grail Springs is my Angel. Grail Springs Health and Wellness Center is what I imagine what heaven on earth would really be like If you have ever imagined in your mind what the world could be like, peaceful, healthy and happy, the Grail staff and all of its surroundings exude this image!... Blessings. My first trip to Grail Springs in April 2007 marked the beginning of a new way of life for me. I arrived there walking with a cane because of my Fibromyalgia and left 7 days later not even realizing that I didn't need it anymore I have been able to enjoy my life again and will always thank the staff at Grail Springs for my successful recovery. Thank you all very much. I was fortunate to spend 12 wonderful days at Grail Springs with one of my very best friends. The trip was a confirmation that we needed to take care of our bodies and get into a healthful state of mind, both physically and mentally We look forward to the next stay at the Grail. The passionate caring staff ~ love them all, delicious amazing food, luscious dreamy rooms and most importantly ~ a much needed change in life perspective...thanks to you, have wiped the slate clean and am ready to start the rest of my life living WELL. I got it. To all the special people who made my first visit to Grail Springs a heavenly experience Three days in your paradise has brought me so much clarity and energy. Thank you... I shall surely return to your oasis! Russ and I can't thank you enough for everything Grail Springs is truly a piece of Heaven on Earth - thank you for creating such a wonderful, healing, uplifting place for one's body, mind and spirit." I embarked on the Science of the Soul journey last spring, many months later, in the fall, I was to witness the magic of manifestation, rebirth and transformation at their highest order Thank you so much Madeleine and the staff of Grail Springs for offering and giving us this wonderful opportunity and this amazing gift! Grail Springs is heaven on earth. The sincerity, care and naturalness of everyone, the food amazing I will share my experience with everyone! I have gained great insight into how to better use my time for setting personal goals. I have been inspired to take time to meditate, practice yoga and have sanctuary wherever I can. Grail Springs is a beautiful place! Thank you Grail Springs! You were just what my soul needed at this point in my life. I will be returning home with regained focus and clarity. I will return again. God Bless! The Grail Springs Wellness Centre is more than a spa, it's a life-altering experience. 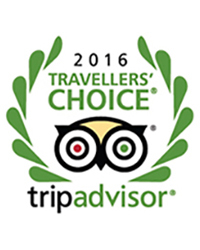 The setting is tranquil and magnificent, the rooms are exquisite and the food is beyond delicious yet so healthy!... I can't wait to go back! Thank you for this inspiring Oasis! Never left Grail Springs property once while I was here. I did not want to break 'the spell'! I'm leaving here feeling recharged and full of joy. Favorite moments...too many to list! This place will be sadly missed Thank you, thank you, thank you. Better than 'a little piece of Heaven!